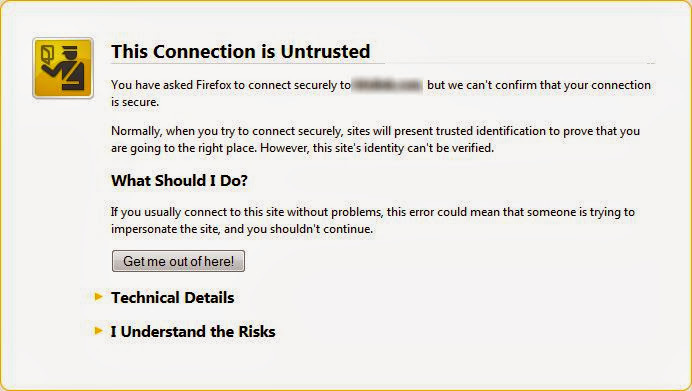 Apparently Mozilla has a stringent policy as to which Certificate authorities it includes with root certificates; Firefox needs a certificate chain that not only ends in a root certificate but has all required intermediate certificates need to be send by the server. Some sites don't properly include the intermediate certificate, so this can lead to problems with specific sites. You might have to install the right intermediate certificate manually, which is a tutorial all of itself, but essentially entails finding a download the .crt file for that site, then in Firefox go to Options, Advanced, Certificates, View Certificates, then Import - but leave all the option check-boxes un-ticked in the confirmation dialog. The same error mightn't be due to an issue with the browser itself, but owing to security software or malware is monitoring or intercepting encrypted network traffic on your pc - which looks like a man-in-the-middle attack to Firefox, therefore it stops working. This could include some firewalls which monitor secure connections, programs like Sendori or FiddlerRoot that can intercept connections and send their own certificate instead of the intended website's certificate. Eset Smart Security can play havoc with https depending on the configuration. It is on a client's network and plays merry hell with Firefox, but since it's not under my control, the IT folks won't change it.